Check on EVENTS to see what special events are coming up! Mondays at 9:30 -11am with Jane Carroll. The winter session will run until March 18th and the drop-in fee is $7. All skill levels are welcome. Please call the church office at 204-284-0079 to register. Harrow Choir: Practices are held at 7:00 pm on Tuesday evenings. If you like to sing we encourage you to come out and sing along with the choir. 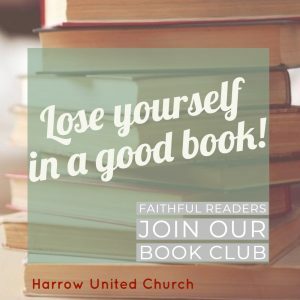 Faithful Readers: This book club meets once a month (on the last Wednesday of the month, usually at 1:30pm) to discuss their latest book. 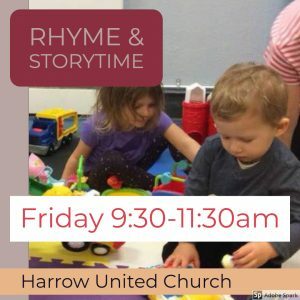 Rhyme and Storytime for children up to 5 years old: Meets on Friday mornings from 9:30 to 11:00 This is a free, fun program for young people who are accompanied by a Parent, Grandparent or a Caregiver. Come out and join the fun. 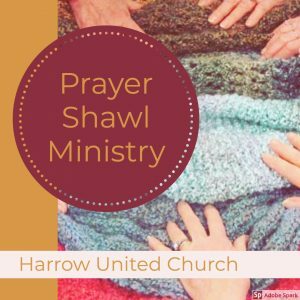 The Prayer Shawl Ministry: This group prayerfully and mindfully creates knitted or crocheted items to provide warmth and solace for people in need. The group meets on the last Monday of every month and all are welcome to participate. Donations of yarn are always welcome. If you have the name of someone who would enjoy the comfort of a prayer shawl please contact Em Poettcker at the church on Sunday or contact the church office. 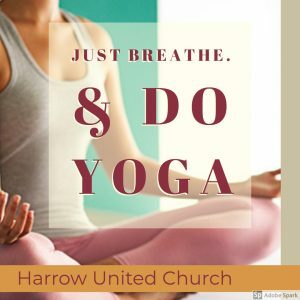 Please feel free to contact the church office at 204-284-0079 or by email to secretary@harrowunited.ca if you have questions about any of the programs that are offered at Harrow United Church.